Let’s chat, shall we? There are many things that my son enjoys playing that I just don’t “get”. I mean I know what he is doing but I guess I am not enough of a gamer to really understand exactly what the games entail. That is what you will find here. I am going to tell you what I know to be true about Skylanders Trap Team from what my son has said. We did receive a copy of Skylanders Trap Team for review and all thoughts and opinions are ours alone. If you aren’t familiar with Skylanders, I am guessing either you have girls for children, don’t have young children, or live in a cave. I mean, Skylanders is everywhere! The game has been growing with a new, more interesting edition every year. We reviewed Swap Force last year in our gift guide and, just as we did then, I am going to rave about this incredible game. What is Skylanders Trap Team? Now let’s break that down a bit. The trading cards and character sticker sheets are some of those things that my son is not quite interested in. I put them in a book for him. The character poster is hung up on his wall and he enjoys looking at all the characters and deciding which one he wants more. 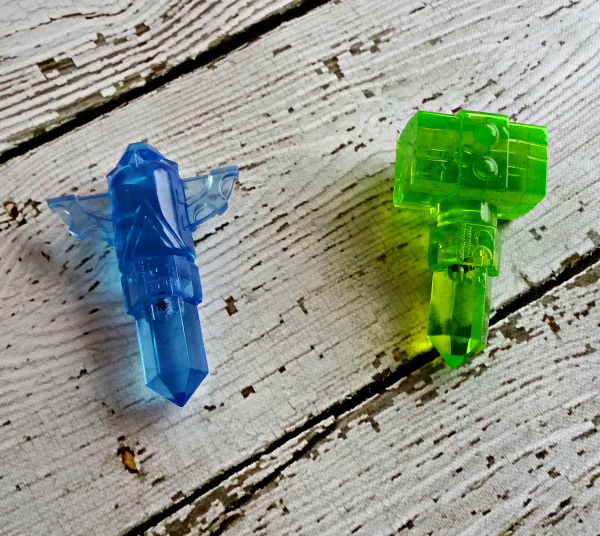 There are a number of figures that you can buy but these two you see above are the ones that came in our Skylanders Trap Team startup pack. They are Snap Shot and Food Fight. My son can tell you all about what they do and their special talents. In fact, he can name every character he has ever received and what they do. Kids love this game! These are traps. You can use a trap to “trap” a villain. Then you can play the game as that villain. My son says they basically are “on your team” then. There are a number of traps available. Now, my understanding is that you put the trap in when you are fighting the villain and then that trap is used for that villain. If you want to trap another from the same element, you would want to have an additional trap for that element. 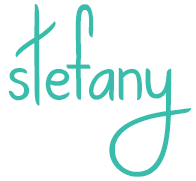 Following me? If not, ask an 8 year old. They apparently “get this game” much more than I do. Regardless, my son is asking for more traps immediately because he wants to trap more villains. With each new Skylanders game, you get a new portal. This one is made for the Trap Team because it has a place to put the traps you are using during the game. As you can see, it lights up and is a point of interest for the game. So, not only are you intrigued by the game itself, but the portal as well. The portal is necessary to play because you place the character you are playing with (and change according to what skill you want to use) and trap on them in order to compete in the game. 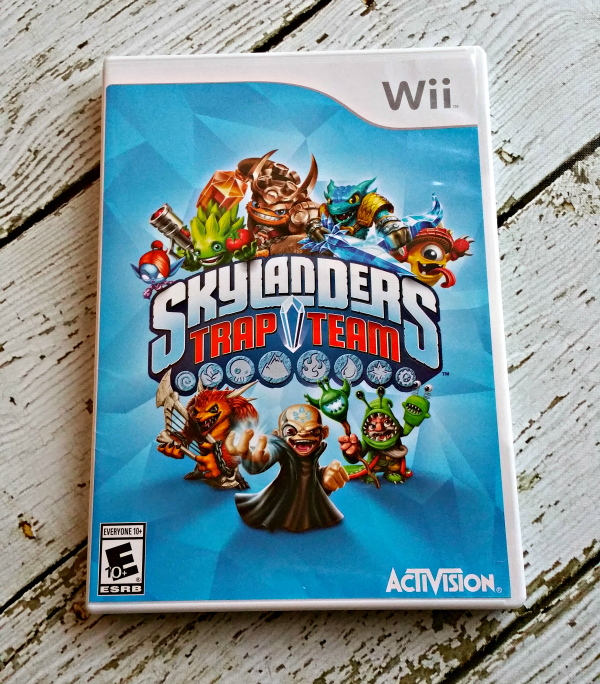 I am sure there are questions about Skylanders Trap Team if you have never heard of the game and I am more than happy to answer them for you (or ask my son and then answer them for you!). If you have a child that has played Skylanders in any previous edition, I am sure they will be thrilled with this game. My son definitely is. He says this is the best version yet, and he should know as he owns and has played them all extensively. Skylanders Trap Team is available for nearly all gaming systems so you are sure to find one for whatever game system you have. You can find out where to buy Skylanders Trap Team, more about the game, characters, and much more at the Skylanders website. It has a suggested retail price of $74.99 but is currently on sale everywhere it seems. Check your ads and online to see where the best deal is! We definitely recommend this game again this year. My son is already talking about what may come in the future and planning all he wants with this game. He plays this every day and has so much excitement for this game. I am sure your kids will love it too. 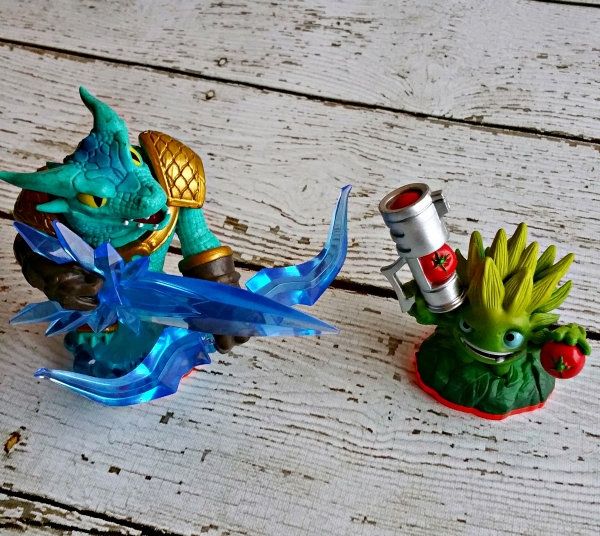 Do you have a Skylanders Fan in your household? What games do you or your children enjoy? Oh how fun! My girls would like to try this but we have yet to get into them. Notice I say yet, my newphews love them! I love Skylanders characters! They are so unique and colorful little creatures. I’m sure it will only be a matter of time before my kids are asking for this game. Looks like a fun game. My nephews would love this game. I have seen it in the stores and the demos look fun too! No, we don’t have any Skylanders players here. I hear that it’s a lot of fun! No Skylanders here (we have a two year old girl – she’s into My Little Pony and Curious George at the moment), but I know a trio of little boys who LOVE them! 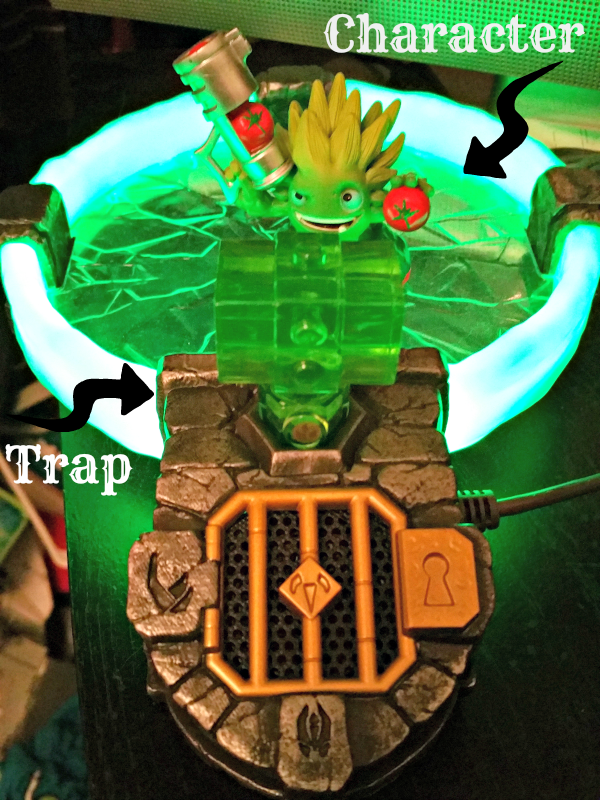 My kids are fans of Skylanders and I have heard a lot of talk about the Trap Team! Looks like a lot of fun! Would you believe that Skylanders hasn’t made an appearance in our house yet! I’m sure they will in the next few years. I bet my kids will love this game eventually! I’ve never played this series, but I think it looks really great. I have someone on my Christmas list who’ll love this! My niece and nephew have the first Skylanders game, and they’re pushing really hard for this one, too. I don’t blame them. It’s a super fun game! I love the Skylanders series. It’s such a fun game, and the characters are so different and unique. That is so true Dawn. They really are some neat and interesting characters. My kids love Skylanders but have not been able to play because the dog chewed their disc and we cant find just the game. I haven’t seen this new set, I am sure it would be a big hit here! !